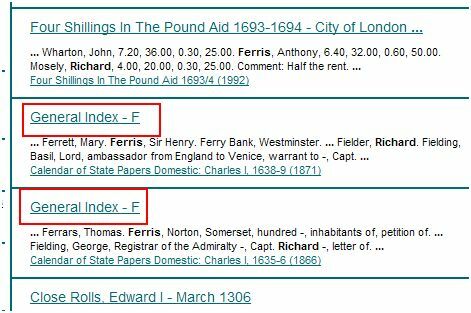 A search for longleat returns elements such as 'Notes on Abbreviations'; a search for richard ferris results in multiple 'index' components. 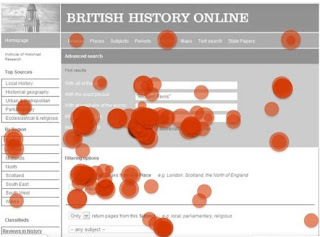 In each case, the instances are mixed with narrative documents. 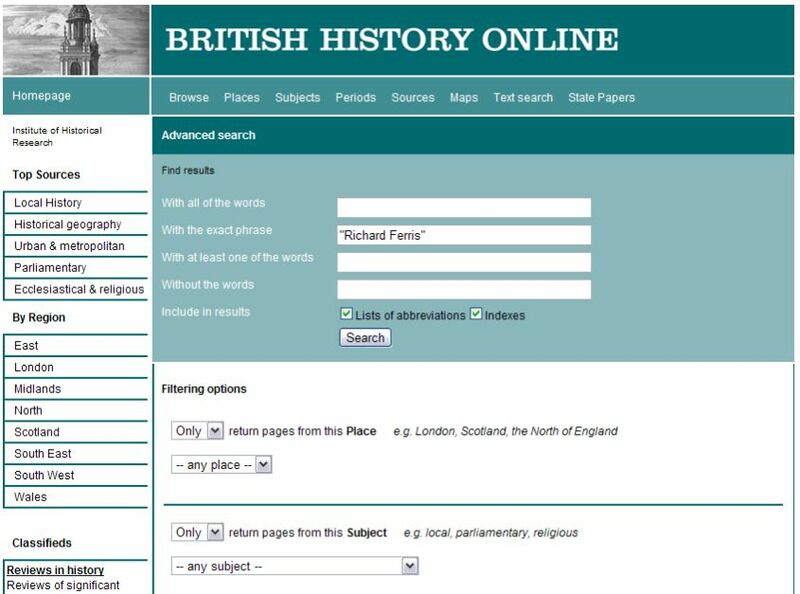 "You're searching for the person 'Richard Ferris' – click where you would expect to exclude certain types of document from your results, e.g. 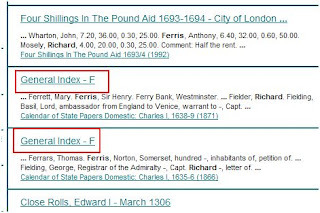 indexes, lists of abbreviations"
New row inserted under text fields, titled 'Include in results' with checkboxes for indexes and abbreviaton list ticked by default (advanced search on British History Online). Clear movement from Before to After of clicks to the newly inserted function, less scatttered pattern to clicks overall. 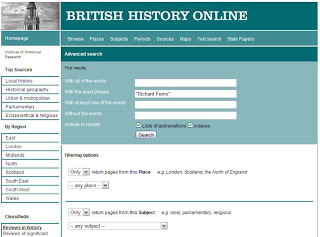 Still quite some work to do though; it appears that some users associate this function with the 'Filtering options' section underneath the main form. Perhaps filtering options should be removed and its functionality built into the main form to remove this confusion. 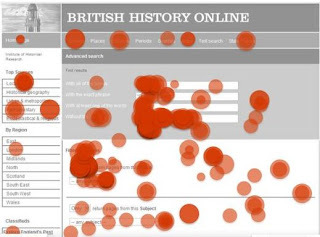 This work could simply be extended by incrementally changing functionality and stopping to check, provided we don't exhaust our users' patience with click tests! Another idea would be to configure the form to have include and exclude boxes into which criteria could be placed - plenty of possibilities now that the mandate for change has been proven.